Ideal for an any audience, bags make great promotional merchandise. They re-usability also ensures a long shelf life! 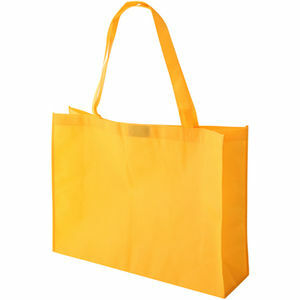 Environmentally friendly, 110g non-woven, coated water resistant polypropylene shopper tote with a Velcro® closure. Reinforced cross stitching on handle attachment with 750mm handles. Suitable for spot colour and transfer print.